I am 'cumberland' from Germany. 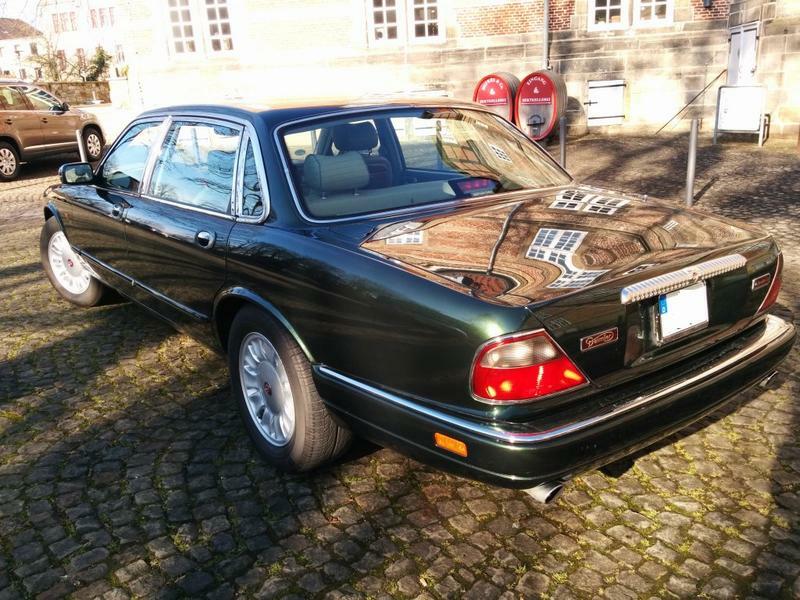 About one year ago I bought this "Daimler Double Six" of 1997, imported last year from Japan. This car is free of any corrosion, but has some issues with the painting because of intense sun exposure in Japan. The interior wood was refurbished a few weeks ago. It ran just about 40.000 miles and is technically in a very good condition. I would like to know if anyone has further information regarding the plaque on the last picture. 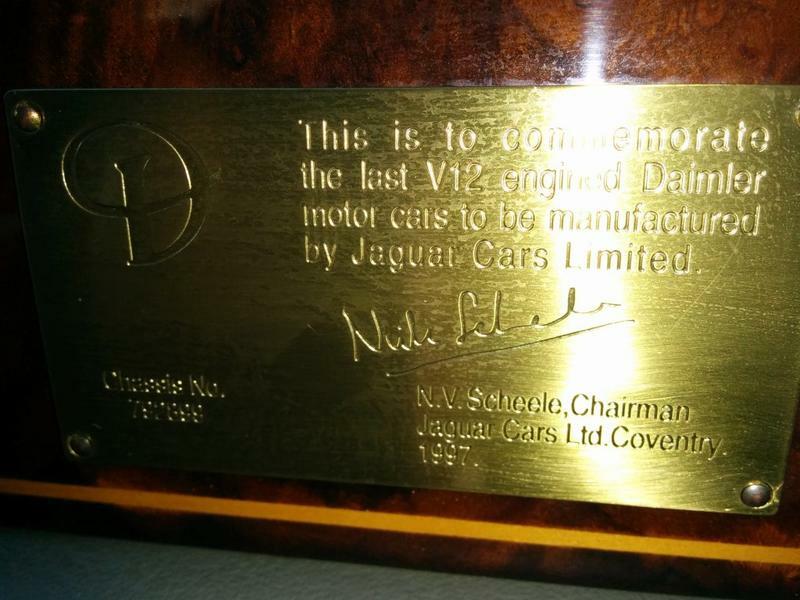 I have never seen any Jaguar X305 in Europe with this plaque or even heard of something like a "V12 last edition", even if they are later buildt than mine! I can't find any reference to special Daimler editions except for the "Centenary" which was available in both X300 and X305 options. The author Nigel Thorley who is an expert on such matters makes no mention of "V12 last edition" in his JAGUAR - All the Cars. The last Jaguar V12 engine was produced on April 17, 1997. Jaguar would never have let the V12 run out without a limited edition to mark the end so as well as having a beautiful car, yours is also a bit extra special. Previous end-of-run editions have been limited to 50 examples. Sir Nicholas Scheele, the chairman of Jaguar at the time had a one-off extra long wheel base version X305 built which looks about 0.5 metres longer than the normal LWB. This monster is now in the Jaguar Heritage Collection. Another option would be that these plaques were special for customers in Japan. 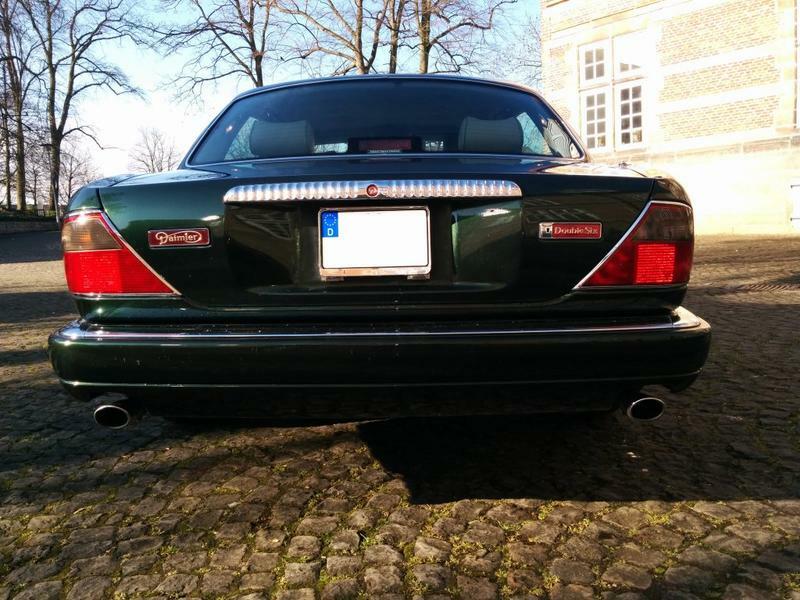 Another german forums member here has a Daimler Double Six, which was build a few weeks later - no plaque in this car. Jaguar have produced several limited edition series of a number of models for the US market so it's reasonable to expect they will have also done the same for other markets. Jaguar Heritage ( Jaguar Heritage. Contact Us ) or Jaguar CRC (Jaguar Customer Relationship Centre - Jaguar Forums - Jaguar Enthusiasts Forum) should be able to give you the answer. It will have to wait until after the New Year as the factory will now be closed for the holiday. I am going to ask Jaguar Heritage and will report back. Glad you made it onto the Jaguar Forums. What a beautiful car, and quite special too, as probably one of the last 50 Daimlers built with a V12 engine. Lovely plaque, with stamped chassis number for authenticity. Interesting that your Japanese version is a left-hand drive model. Perhaps it was originally sent to a different country? 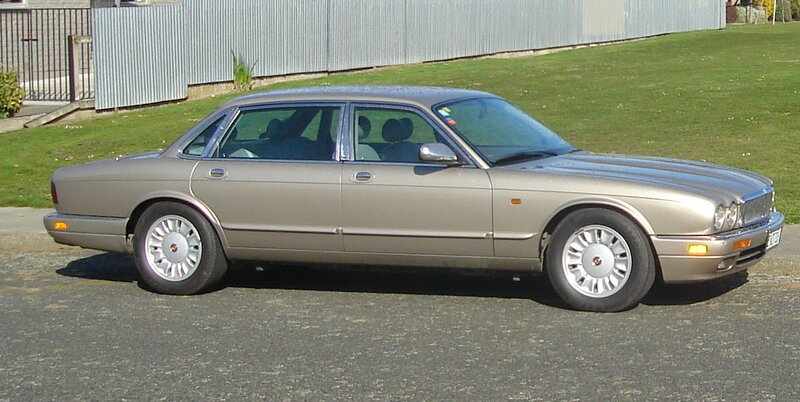 A similar example would be "The Last 100" V12 Series III VanDen Plas cars built in 1992. These unusually spec'd cars were not the last 100 built per se, but were the last 100 built *for the Canadian market*. 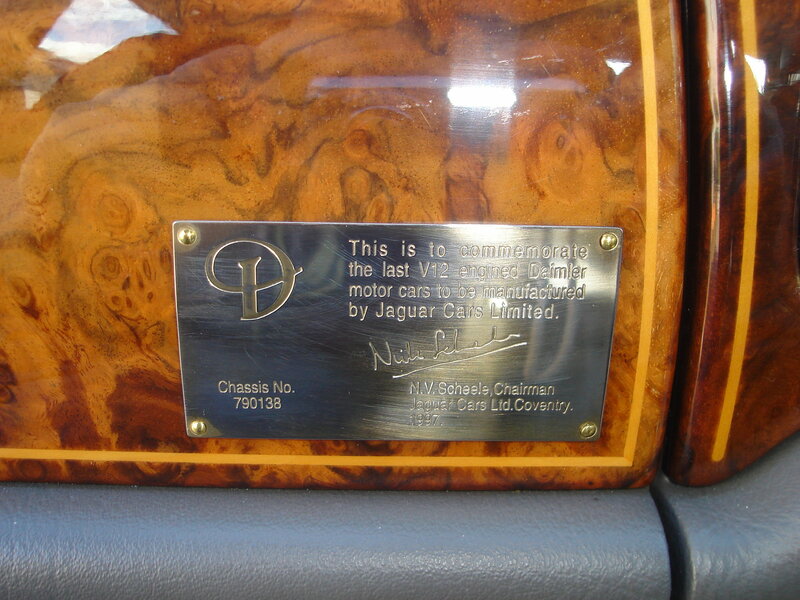 The plaques were included with each car but not all owners (or dealers) installed them. The dealer who imported the car said, left-hand-drive would be not so unusual in Japan in the euorpean luxury segment (i.e. Mercedes SL, Jaguar XJ). Japanese owners want to show their european luxury car - including the european "wrong" side of the steering wheel (from their perspective). That´s what he said, I cannot confirm this. Lovely car Cumberland! 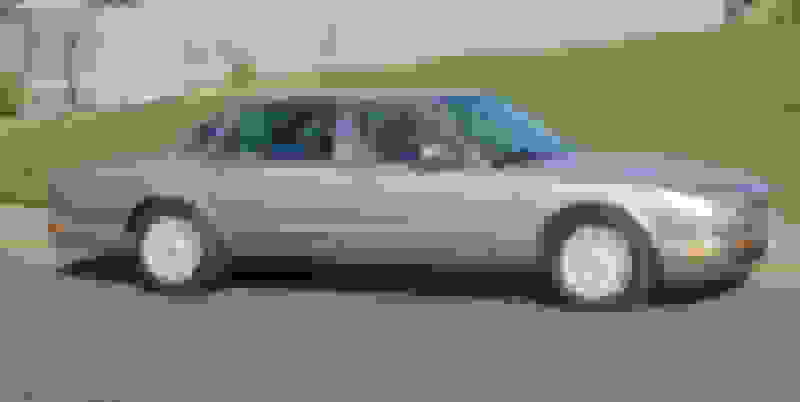 I have a 1996 Daimler Double Six. 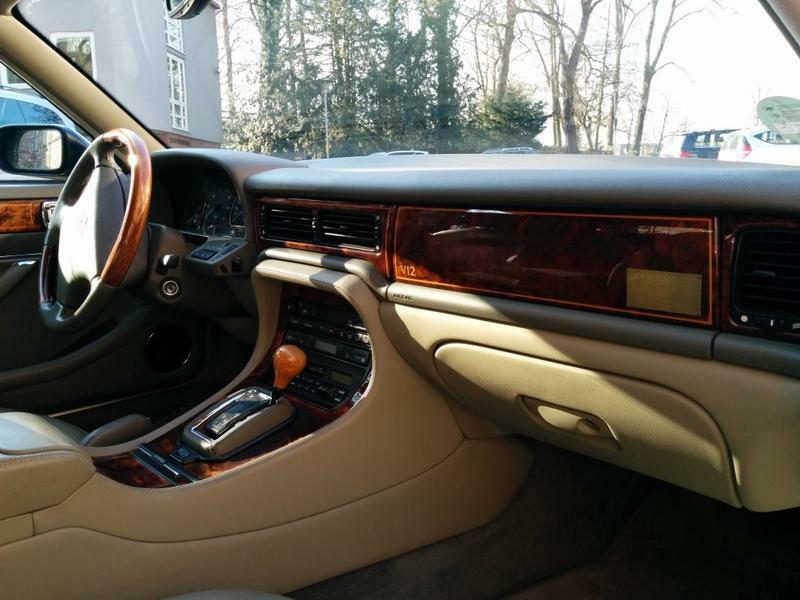 Your car looks incredibly well cared for, the interior looks factory fresh! Lovely Car. 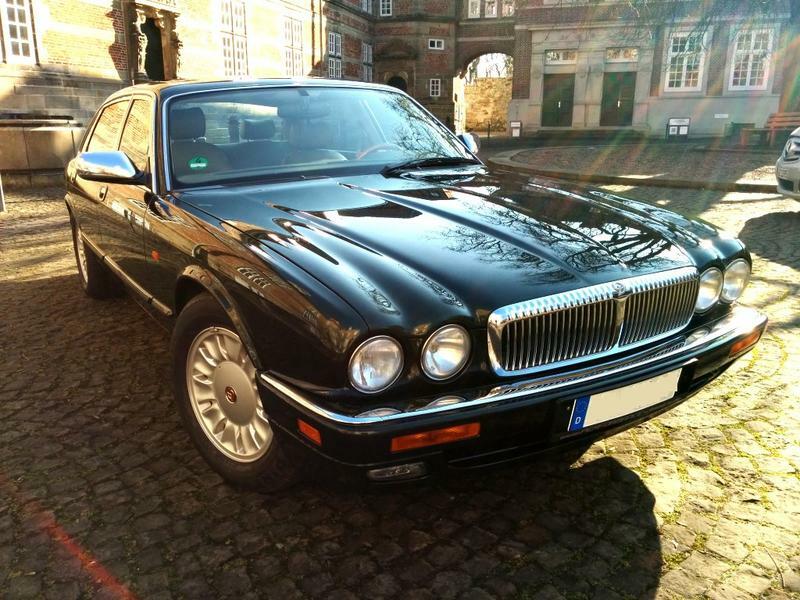 We also have a 97 Daimler Double Six. Our car also has the plaque in it. We live in New Zealand. Another beautiful Daimler. If there was a prize for being greatest distance from the factory, you would be the winner! Was your Daimler originally sold in New Zealand or is it an imported car (from where?)? We brought the Daimler here in NZ March 2013 from a guy who was in desperate need of money,bit of a sad story. Anyway he told us the Daimler was imported by a car sales here in NZ from either Singapore or Japan, I am not %100 sure.But it was a Chauffeur driven car. The last owner brought it in June 2008 and owned it up until we brought it. We are both in the Southland Jaguars Club ( there is around 80 members) the Daimler goes out on most of the monthly runs. We don't know if there are anymore in NZ. That´s the explanation for the plague. 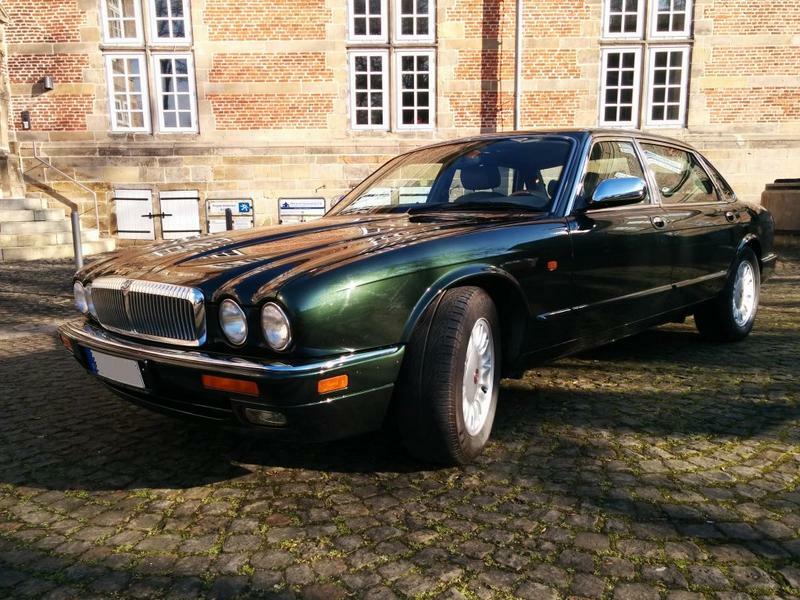 I have never seen one on american oder european Jaguar XJ12 oder DD6. what a crime to nail these plaques to the veneer!!!! The plaques for the Daimler Century's were fixed in the Glove-Box !!!! Very carefully nailed by the finest craftsmen! Probably with pilot holes. Cracking unacceptable. Milne, your car is lovely. I see it is a RHD too. Interesting. The X300 VIN numbers ran to 812255, so 790+ is still a ways off from the end. But as Doug says it may be among the last few that went to that market. Glad to see you back Cumberland. Did you ever find out more from the JDHT? I just came across this thread and have a bit of info to add. 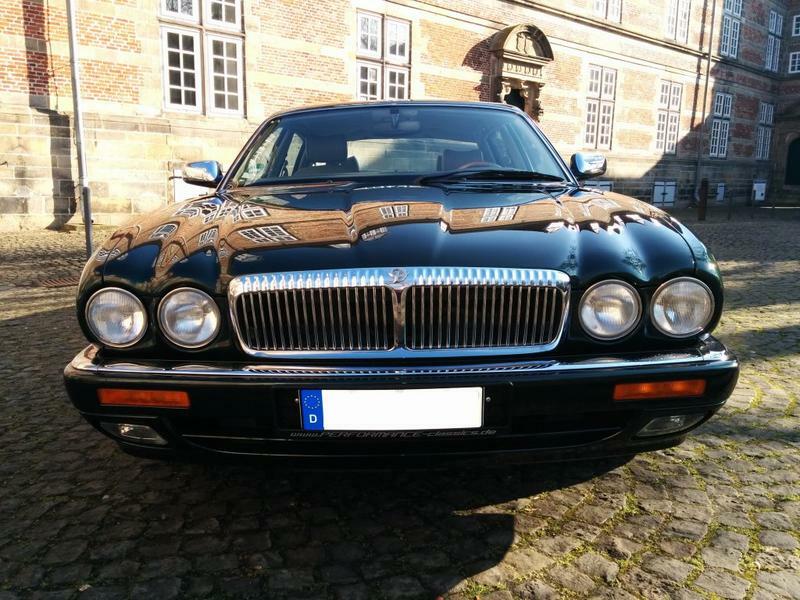 I have a ex-Japan Daimler Double Six (VIN 801540). 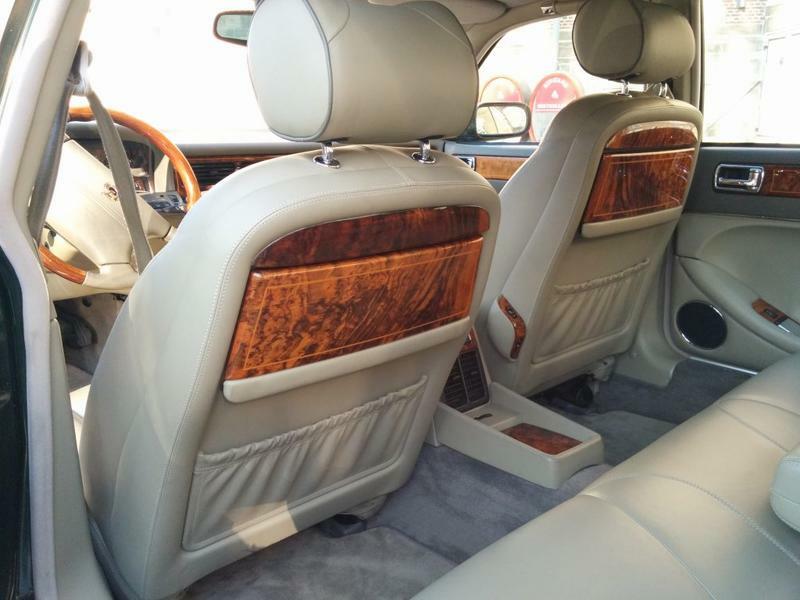 It is a LHD 4 seater with rear seat console. First registered in Japan in March 1997. When I bought the car in 2012 I contacted the JEC in the UK asking about the last VIN's for V12 X300's.